The sea, at the same time that it nourishes man, animals and fishes, swallows swimmers, seafarers and migrants who venture into freedom. The sun, fire in the sky, gives life, but a fire in a tree, can become the hell itself. Human can be the one who creates life, but with the war, fights and choices, takes it back. More than 6 different options. 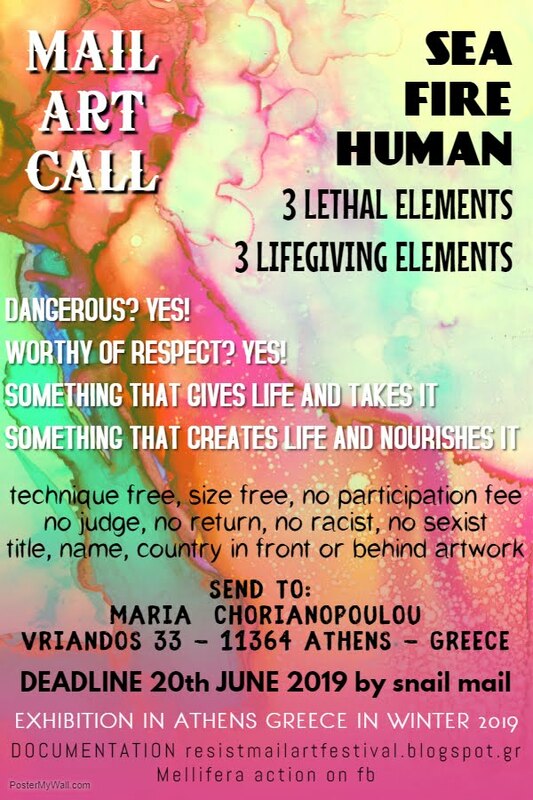 Αναρτήθηκε από resist mail art festival στις 3:07 π.μ.